It’s never easy, but nicotine patches and inhalers are a great place to start if you’re having trouble. Antioxidants protect your skin from free radicals. Try to drink two litres of water per day – especially after exercising. If you don’t enjoy drinking water, spruce it up with fresh lemon or boost your skin’s hydration levels by drinking natural coconut water. Apply a small amount of NIVEA’s Q10 Replenishing Pearls Serum, under your day and night cream for extra wrinkle-fighting power. NIVEA’s range of anti-wrinkle creams and moisturisers are created by our skin care experts. They are designed to hydrate and protect your skin. Our night creams also repair and rejuvenate your skin overnight. Protect your skin from the sun by applying sunscreen or an SPF moisturiser, daily. If you do accidentally get sunburnt, apply a moisturising after sun lotion. NIVEA’s Cooling After Sun Moisturising Lotion not only soothes sunburn, but helps restore your skin’s moisture to prevent premature ageing. Try to get around eight hours of sleep per night and allow your body time to repair itself. Boost your skin’s regeneration process by applying a rich anti-wrinkle night cream before bed. Try to minimise your workload or cut down on anything that stresses you out and might be causing your wrinkles. Yoga and meditation can also help. While you want to keep your face clean, it is important not to stress the skin by over washing. Excess use of cleansers can strip the skin of the skin`s own lipids, that protect from drying out. Using NIVEA Sensitive Caring Micellar Water gently cleanses while maintaining the moisture balance. As you age, your skin naturally becomes dryer. By including additional moisturisers to your anti-aging skincare routine, you are treating your skin with properties suited for enhancing skin texture and removing common dryness experienced with aging. Stress is one of the contributing factors to forehead wrinkles. By setting up a relaxing environment at home with candles around the bath, for example, you help your mind to switch off after a long day helping further reduce forehead wrinkles. Not only do herbal teas help to clear and calm your mind, they also promote digestive health and wellbeing. Even the ritual of making a green tea or matcha latte can bring down your stress levels – their high antioxidant content is an extra bonus for your skin and body. Setting aside some me time in a busy day can make a world of difference. When we are stressed, the body produces more of the cortisol hormone, which damages the skin’s collagen. To help your mind and body relax, try meditation guides, yoga books or YouTube tutorials. NIVEA Q10 Plus Anti-Wrinkle Eye Cream is the ultimate pamper cream. Get ready to wave forehead wrinkles goodbye and embrace smoother, younger-looking skin with this creatine-enriched moisturiser. 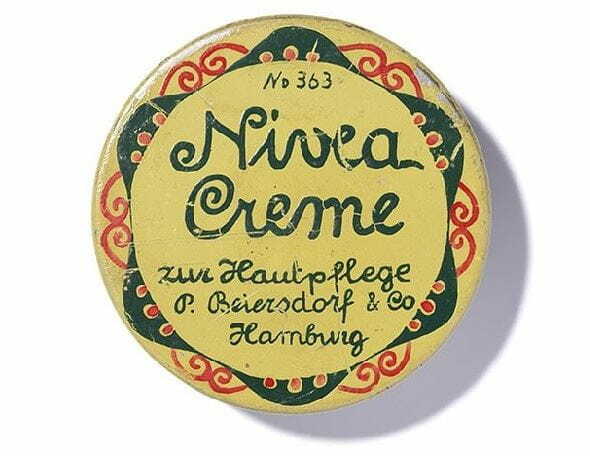 This effective but gentle cream works in harmony with your skin. Knowing what causes forehead wrinkles is undoubtedly the best way to start prevention against them. Generally speaking, wrinkles begin to form as collagen breaks down in the skin. Below is a list of some of the most common causes of the breakdown of collagen and forehead wrinkles. When your stressed, your body releases a hormone called Cortisol, which has been known to break down collagen in your skin. Exaggerated or frequent facial movements can cause premature aging. The muscles retain memory of these movements, which can create permanent forehead wrinkles over time. Smoking can narrow the blood vessels in the outermost layer of the skin. This can have a negative effect on blood flow in your skin and then lead to wrinkles. Your diet, can definitely help your skin by providing essential nutrients. Want to know more about which foods can help with wrinkles? Check out NIVEA’s take Anti-Ageing Foods for Your Skin. While spending time in the sun is important to allow for Vitamin D production, harmful rays from the sun can contribute to the collagen breakdown in the skin. NIVEA Q10 Plus Anti-Wrinkle Day Face Cream helps to protect your skin and care for its structure and texture. To a certain extent genetics dictate how well or soon we age. Genetics help determine your ability to generate collagen and elastin, which both support the resistance against wrinkles.